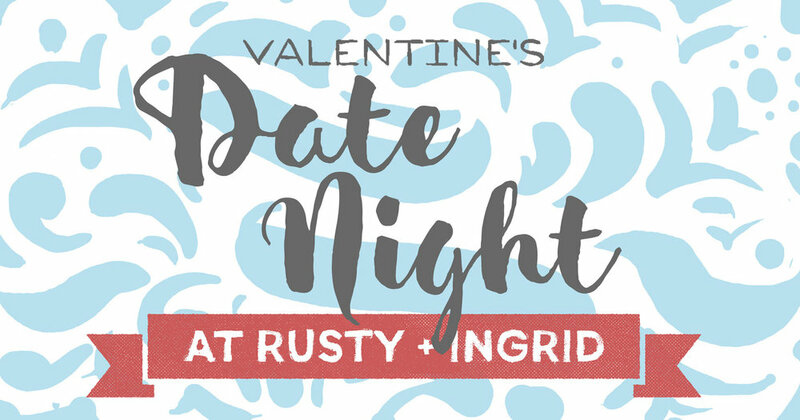 Drop-in at Rusty+Ingrid's studio on Date Night! Our first ever printing event! Surprise your date with a spontaneous experience! Fun and easy printing for two! Stop by on your way to dinner! 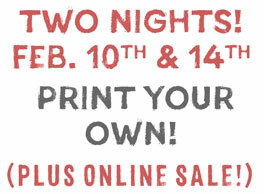 Screen print your own special edition Valentine's print to take home! Take turns printing the two color design! Completely FREE, plus treats and discounts in store! BOSTON WINTER @ CITY HALL PLAZA- Nov 24-Dec 31 DAILY! !